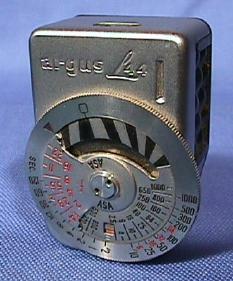 The L44 "Clip on meter" was designed to be attached to the accessory shoe of the C4, C44. Made in West Germany. 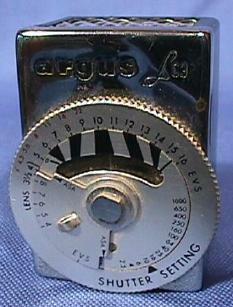 L44 meter with low light booster #604 attached. 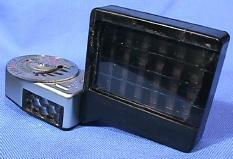 The LC3 was designed for use with the C3 Matchmatic camera. Made in Japan. 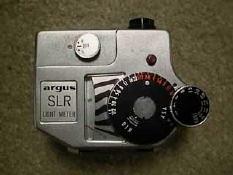 Made for use with the C3 Matchmatic "simplified" exposure system. Made in Japan. 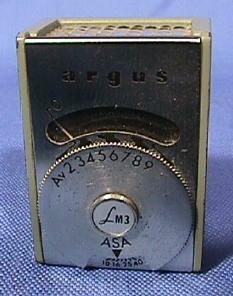 Designed for use with the Match Matic M3 movie camera. 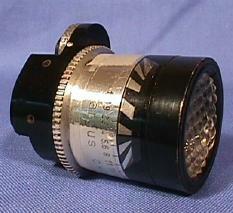 The CM2 "Coupled Exposure Meter" was designed for use on the C33 and C4R and C44R cameras. 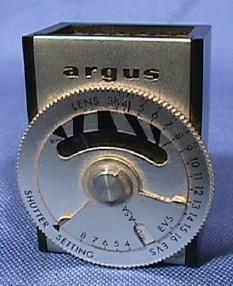 It integrated with the shutter speed selection dial.